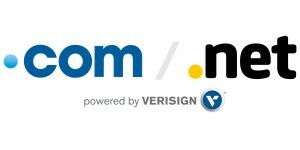 The top 10 trending keywords registered in .COM and .NET domain names during the month of October 2018 were published by Verisign, the .com and .net registry. You can find the list from last month here. My experience shows that 700 or 800 (or even less) domain registrations are enough to bring a keyword into the top 10. There are no common keywords in the 2 lists. *Note: Each list was developed by examining keyword registration growth relative to the preceding month, such that those keywords with the highest percentage of registration growth are being reported on. This method is used to eliminate commonly registered keywords, such as “online” and “shop,” to provide a true look at monthly trends. In order to be included, a keyword must experience a minimum threshold in registration growth month over month. Qualifying keywords with the highest volume of registrations are then ranked and included in the list. Above the lists it should be “Top 10 Keyword Registration Trends for .COM and .NET in October 2018”, but not “September”, right? Right. I have corrected that. Thanks! In the next 3 to 7 years we can expect an overall increased interest for domains. This year Chrome Developer Summit, Google experts have explained that in the future when you need an app for your device, you will just type a URL in the internet browser. This is how Progressive Web Apps work, and they will eliminate the need for an app delivery platform. This is good news for domain industry, just a few years ago apps had a negative influence on the domain market and some though domain names will become irrelevant.